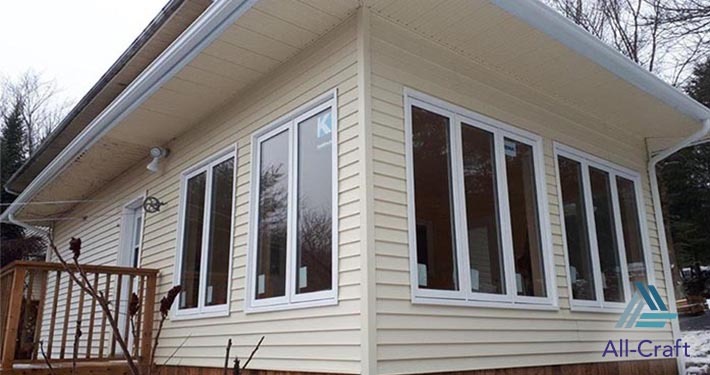 For a Professional Home Addition, Renovation, or Deck Building Quote in the greater Halifax area. 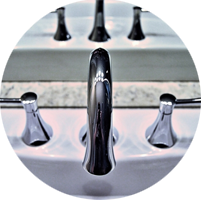 All-Craft provides unique designs and high-quality craftsmanship for each bathroom remodel. 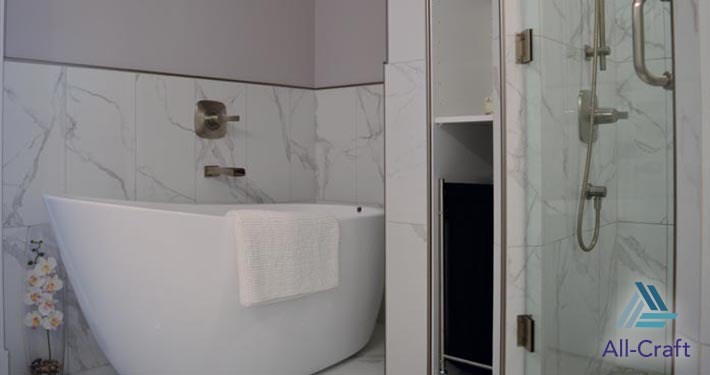 Initial considerations when we are designing a bathroom renovation are room dimensions, positioning of existing doors and windows, and the shape and size of new fixtures, which include showers, bathtubs and vanities. We work with clients to create a new bathroom from their vision. 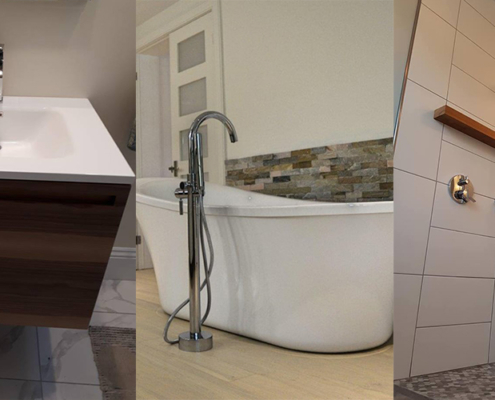 There are numerous benefits of a bathroom remodel, including improving use of space, adding desired features such as double sinks and heated floors, and creating that desired “spa-like” feeling. 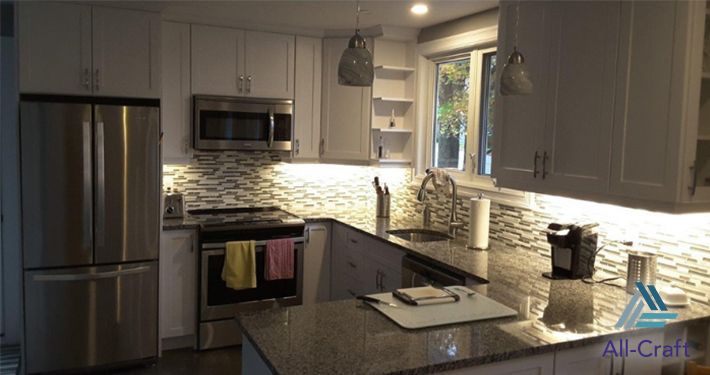 Kitchen remodels can combine both innovation and tradition. From design to build, All-Craft will take your vision and make it a reality. 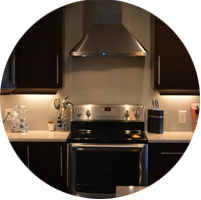 As the “heart of the home”, your kitchen renovation needs to provide you with functionality, comfort, and style. With our creative designs, we implement our extensive knowledge of trends and kitchen features to provide you with an efficient and stylish kitchen. Long gone are the days of basements being dark and dingy. 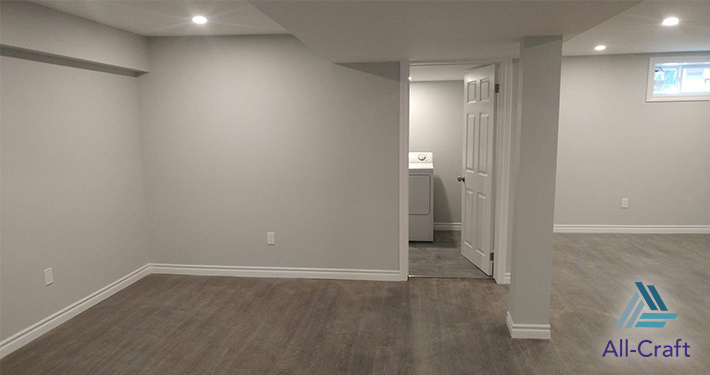 With a basement remodel, you can finally have the extra living space you desire. Whether you want to create a place for the family to gather on game night, or design a home office, a well-planned renovation can help utilize every inch of space to provide you with a warm and inviting basement. Custom home renovations and additions present you with a clean canvas; but like any renovation, it’s important to establish what space you want, and how you are going to use it before you can start to build. We help our clients establish why they need an addition, what their budget is, and when they would like to have their project completed by. This helps our team design and complete a project that meets clients’ desires. Home accessibility modifications help you prepare for the future. A universal design can be applied to the interior and/or exterior of your home, allowing you to enjoy your home inside and out for a long time to come. Who should renovate with accessibility in mind? 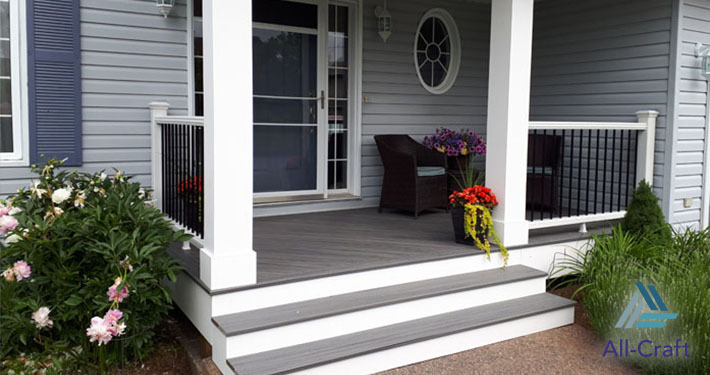 All-Craft Decks & Sunrooms is a division of All-Craft that specializes in exterior home renovation projects in Halifax, Nova Scotia, including decks, porches, sunrooms, and exterior additions. These days, decks come in a variety of shapes, sizes, and colours – inspiring homeowners to love the outdoor life. 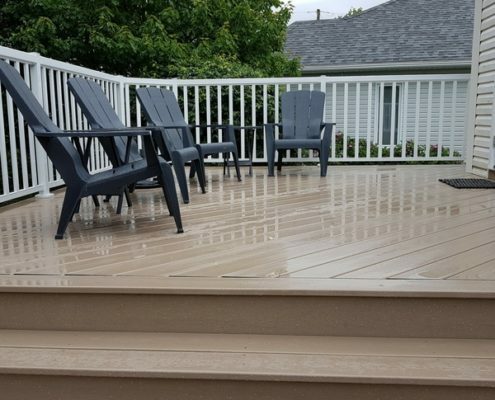 All-Craft Decks & Sunrooms is your trusted deck builder in Halifax, NS. With outstanding attention to detail, our team strives to ensure your vision of an outdoor oasis is achieved, providing you with a place to make memories. 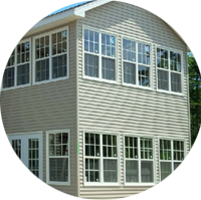 Sunrooms designed and built by All-Craft provide you with a functional home addition that you can enjoy all year long. Sunrooms are designed for many reasons, including to create family space, a place to enjoy the morning sunrise, a place to entertain, or just a place to relax at the end of the day. Our team has extensive experience working with clients to bring their dream sunroom to life. 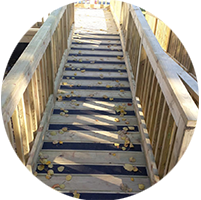 Custom designed decks can be found in backyards all over Canada. Whether you are seeking a chic place to entertain, or desiring a tranquil retreat, your yard can be transformed into your ideal backyard oasis. 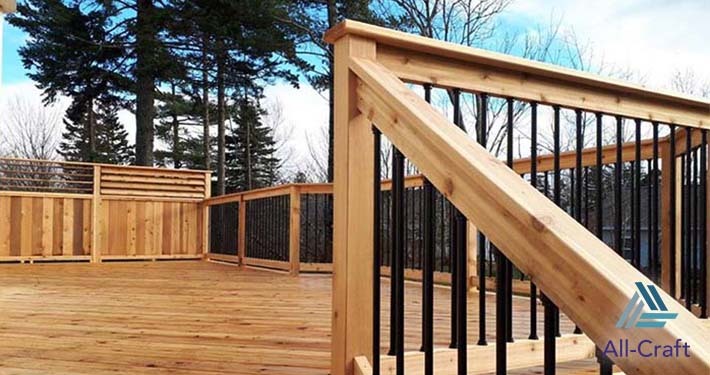 Deck material options have grown exponentially, and railing options are endless. 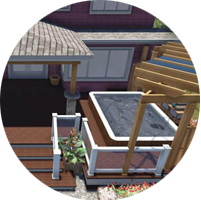 As a professional deck design and build firm, All-Craft helps to ensure your new deck is built according to plan. 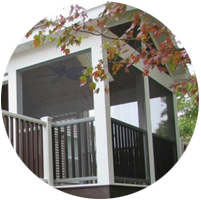 A custom screen porch, or outdoor living room, adds extra living space and brings indoor comfort outside. With a custom screen porch, you have a place to escape the hot sun and enjoy the sparkling stars late into the night. 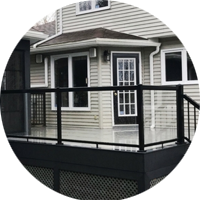 Rain or shine, an All-Craft screen porch renovation will provide you with shelter from weather elements and unwanted insects! Hardscaping is a decorative element, harmonizing the look and architectural design of your home. 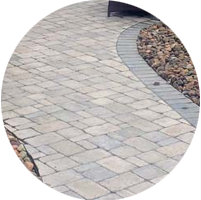 The vast selection of stones, designs and patterns make it easy to give your outdoor project a unique look. Whether you want pathways intertwined through stunning gardens, or an outdoor fireplace built from stone, All-Craft will help you create a stunning backyard oasis. 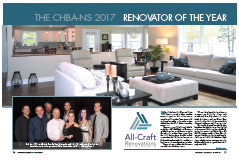 All-Craft is a locally owned custom design contractor specializing in interior and exterior design and build renovation projects. We pride ourselves on building excellent customer relationships, and showcasing unparalleled craftsmanship, providing clients with unique design and flawless execution. We continue to innovate and educate ourselves so that we can offer our customers the latest trends in products and designs that suit their individual needs. We understand our clients want their home renovation to be given the professional attention that it deserves and built with integrity. 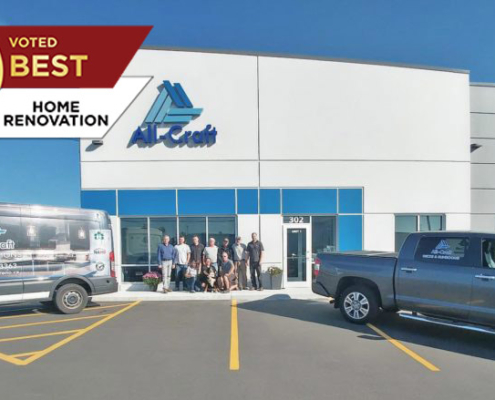 All-Craft has fostered a team with a diverse array of expertise, bringing the experience needed to make your vision a reality. With our two unique divisions, All-Craft Renovations and All-Craft Decks & Sunrooms, we are able to specialize in interior home renovations and exterior remodels. Whether you are looking for a small renovation, a total home renovation, a new deck, or an outdoor living space for your family to enjoy – there is no job too big or too small for our team. From the beginning we knew we were in good hands. In discussions about the proposed projects the information which was provided to us was well organized, professional and outlined in detail both the scope of the work and what we could expect from the company. As the saying goes “you get what you pay for” and with All-Craft you get a company that excels at what they do. I would highly recommend All-Craft for future projects. I have always found Brian and Justin, the owners of All-Craft, approachable and accessible. My emails and phone calls were always returned promptly and if an on-site meeting was required, it took place within 24 hours. Yet, it is the personal attention and consideration that I have received from All-Craft that I have always been most impressed by. They even offer a 5 year warranty and were more than happy to come out to address anything we had questions about. 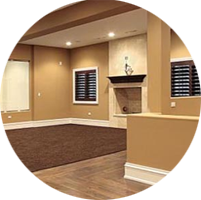 All-Craft is a very professional renovation company to deal with, and they provide top-notch service. I have already recommended them to friends and neighbours. 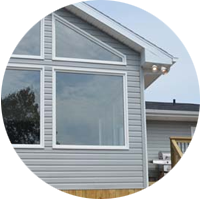 All-Craft Decks and Sunrooms undertook extensive exterior renovations to both the front and back of our home in the summer. Brian Johnston was the main contact person and spent many hours helping us determine the right plans for our house, all without even knowing if we would sign with his company or not … ie. no fee was required for his valuable input and we could walk away if we wished. Fortunately, we did not. Brian, Justin and Laura and their entire team are top notch. From start to finish our project was a total success. On time, on budget and changes worked in perfectly. Laura found us the right materials and made my wife and I look like professionals with our product selections. Brian and Justin listened and developed a plan that worked. The results were fantastic and we could not be happier. I can’t say enough positives about All-Craft and the team of craftsman they employee. What a great team to work with. From our first phone call setting up the initial appointment, through design, layout, discussion of materials, cost estimation, finalization of the design, scheduling and construction Brian and Justin worked hard to provide us with accurate and timely information. Why Should You Hire a RenoMark Certified Renovator? RenoMark™ raises the bar and identifies renovation professionals who have agreed to the Canadian Home Builders’ Association’s Code of Ethics and a renovation-specific Code of Conduct. RenoMark™ renovators understand the value of customer service, provide warranties, and continually educate themselves on trends, materials and new regulations. Why Use a Written Contract ? Professional contractors always work with a proper, written contract. A contract spells out a clear project plan and identifies what you and your contractor have agreed to, including price and payment schedules. It is the best way to protect yourself and ensure things go as planned. It eliminates uncertainty and is a valuable part of what a professional renovation contractor provides. Do not sign a contract unless you are satisfied that it includes all the necessary information that accurately and fully represents what you have agreed to. Do I Need Permits and Who Gets Them? Permits are a must when completing interior or exterior renovations. Municipal and/or utility permits, inspections, and approvals are usually arranged by professional renovators as part of their service on behalf of the client. Still not sure if All-Craft is the right company for you? Hear what some of our happy clients have said! Have a referral? Find out how you can benefit from our NEW referral program.